I'm creating a Bitcoin QR link with my website, but I want to be able to just link to a page that generates the QR code with the current USD price equivalent of BTC in the QR. I tried blockchain.info, but it only displays the QR code and I can't embed a price into it. How can this be done? I'm trying to use it on checkout where I can pass in a BTC address + USD price to the QR code generator and the user can just pay the exact amount needed without having to lookup how much to pay. I know bitpay does this, but they also log every transaction to the government. So I rather just use a service that doesn't log anything. However it is possible to generate a bitcoin QR code with a given value in USD, but it is no use since high transaction fees and highly volatile nature of bitcoin. Still, you can use third party services like CoinGate which provides you a real time convertion of USD to almost all major crypto currencies. But CoinGate will show their own BTC address to receive and then they transfer it to your BTC address, so beware! Good luck! Check out https://github.com/shesek/bitcoinuri. Make sure to read the warnings. Due to how much the USD/BTC conversion rate can fluctuate, even within a small window of time, I don't think this is a good idea. The problem is that you are now listing two separate prices in one QR code. Yes, they were the same at the time of generation, but that won't last. When payment is received, which price is the real one? The one in bitcoin, or the one in dollars? If you are receiving payment in bitcoin, then it's best you simply list your price in bitcoin. It is usually the responsibility of wallet software to show the user any conversion to USD, and that depends on which exchange they are using as their oracle. The user may not have access to the same exchange as you, so bitcoin may be more or less expensive to them in USD. It's best to leave that conversion rate configuration up to your users, within their own wallet software. Then divide the USD amount into the BTC price, restrict to 8 decimal places and stick it in the QR code URL. You can make bitcoin qr code in one of a lot of mobile application. For bitcoin the scheme is like "bitcoin:address". You can also use website with generator to do it. Some websites eg. 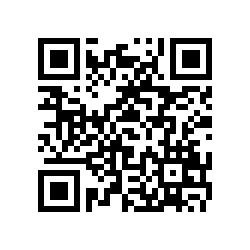 https://bitcoinqrcodegenerator.win add a nice bitcoin logo to the qr code to know that the code belongs to bitcoin. Not the answer you're looking for? Browse other questions tagged blockchain.info exchange-rate qrcode or ask your own question. Why have my funds in Bitcoin Block Explorer's online wallet decreased in value? Why Bitcoinchain.info Ticker API is not stable?